Hi there, I am Subham from Technical Virus. Today I am posting a new thing that usually different from my regular posts. Everybody wants Money, there are many works other than regular office or business works that make a lot of money. In India, there are many Private Jobs that offer you work with a low amount of Salary, and use your all energy with lots of works. But, you are all your own. You can choose the Private or Govt. Jobs and Earn money from there, or you can choose the Other way. Wonderful and Prestigious ways are available over the Internet. You just have to dedicate all your efforts to the work you are going to choose. Because Success does not have a Simpler or Easy way. If you want to become a successful person in life you have to work hard. On the Internet, there are many things to make money online Even from Home. You can Choose many things over the Internet and Earn money from there. Suppose, you are good at Graphics Designing and wants to grow from this. There is a thing called Freelancing that provides you the platform to complete your dreams and Earn money from it. 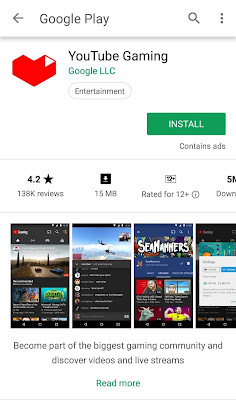 Yes, you can Earn Money from Playing games with your Android and Stream the Gameplay live over Youtube and if you are famous enough then you can earn a good amount of money from there. 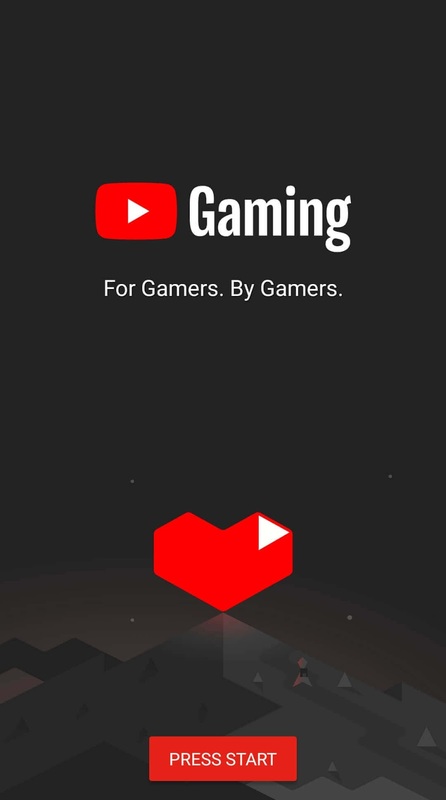 You all play Games, right? Have you ever think that by playing games with a live stream from your Android will make you Money? 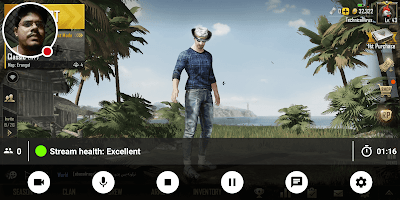 Moreover, you will not require the High-End Pc to Stream a game, because it is true that if you want to Stream a Game from your Computer you will need a Decent System, otherwise, you will face Lag and Heating issues of your Computer. 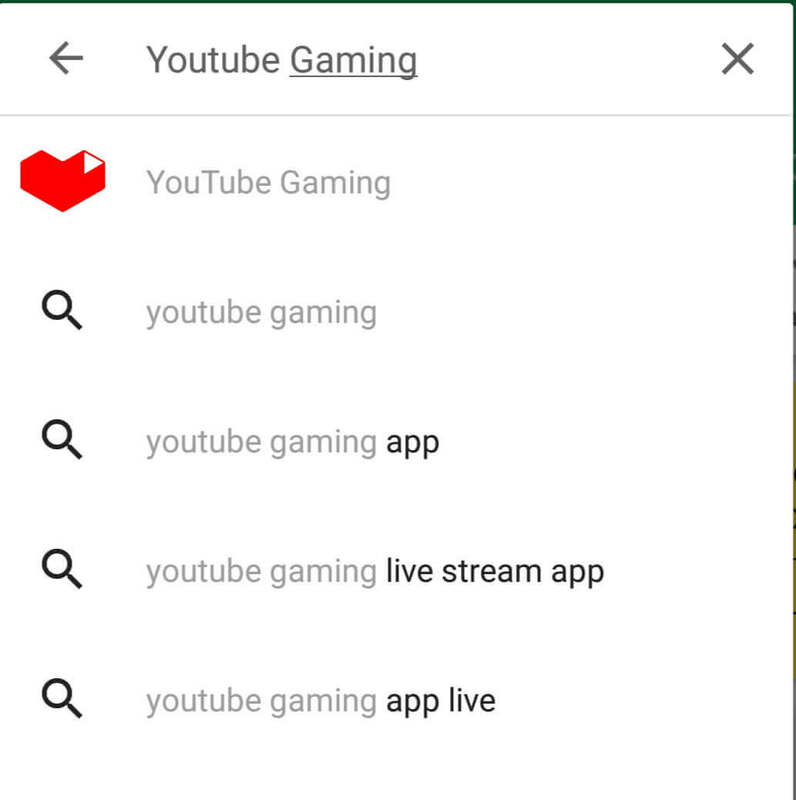 First of all, go to your Google PlayStore app on your Android and Search for YouTube Gaming. 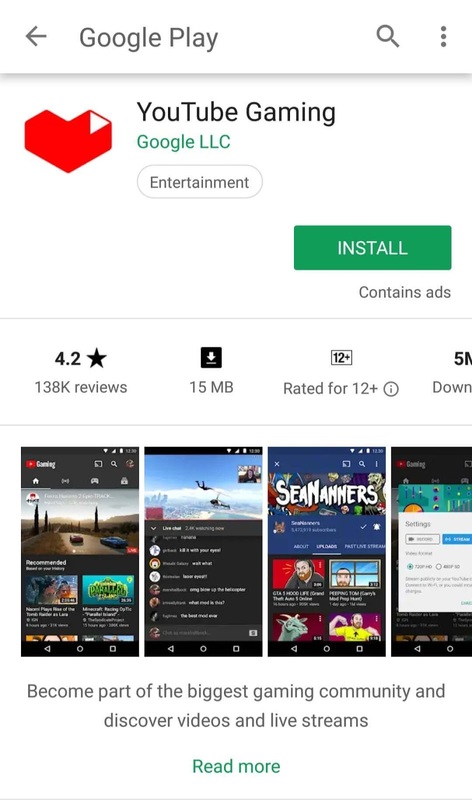 Then Click on the first app. 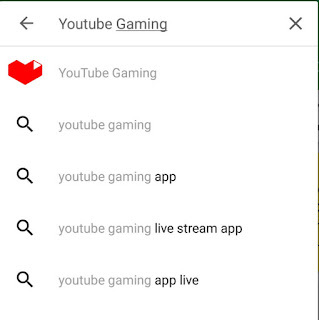 You will then see the YouTube Gaming app is there. 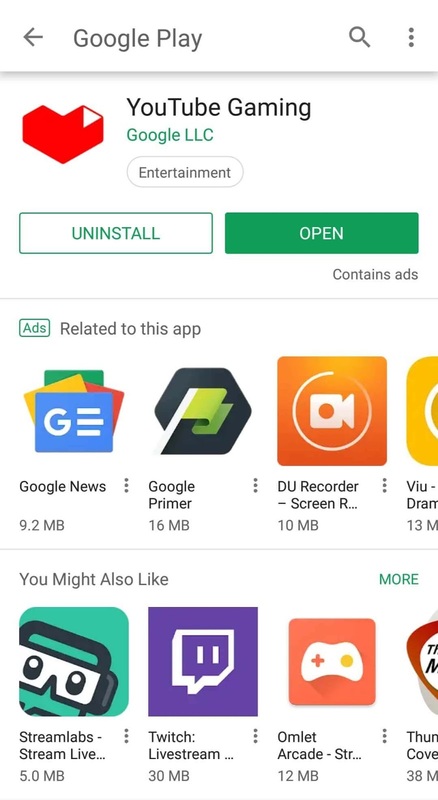 Just Click on Install Button and wait for install. After Installing open the app and grant all the permissions that will be shown to you if you are Android 5.0 and above users. You will get this type of Interface First. Click "Press Start". 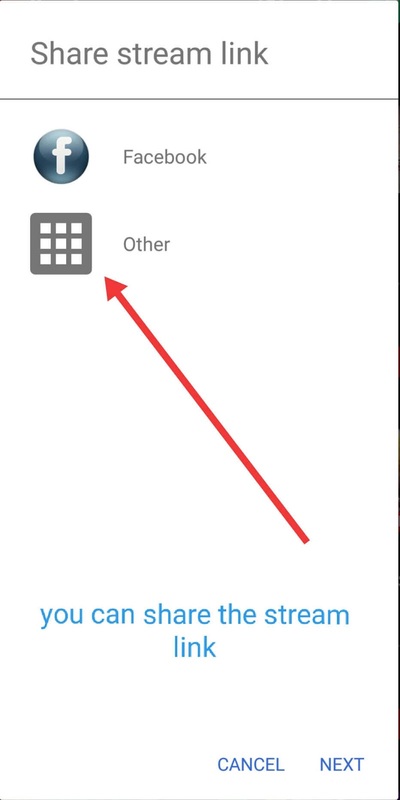 After that, you will see the actual interface of the app like below. You will find a Stream button on the app as shown below. 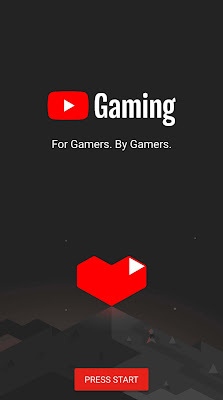 Just Click on it and Follow my Steps. 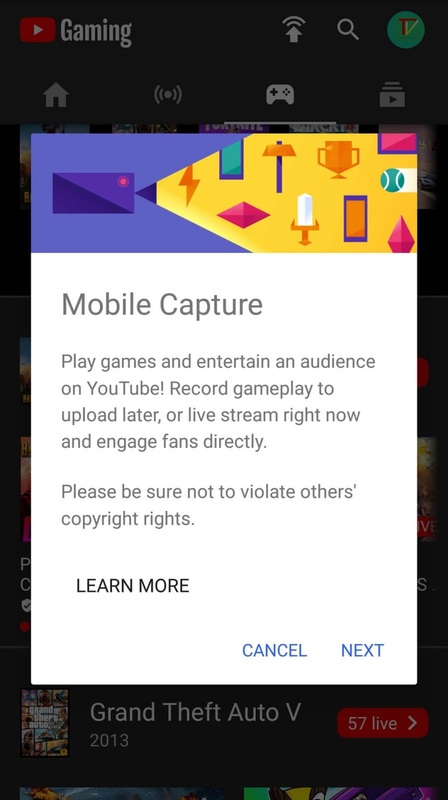 You will find a popup named as Mobile Capture. Click on Next. 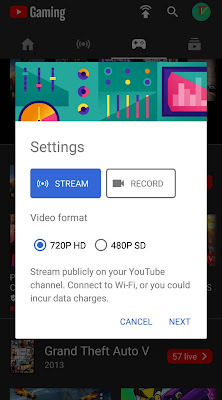 Next, you will see two options: Stream and Record followed by Recording Quality which is 720p or 480p. Select the appropriate quality for your Android Device. Then Click Next. 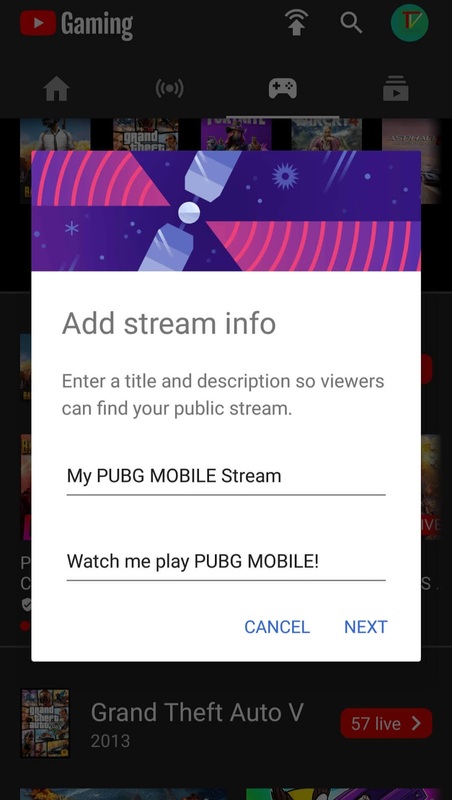 Then you will see Add Stream Info option. Give the title and the Description of your Stream. Then click Next. 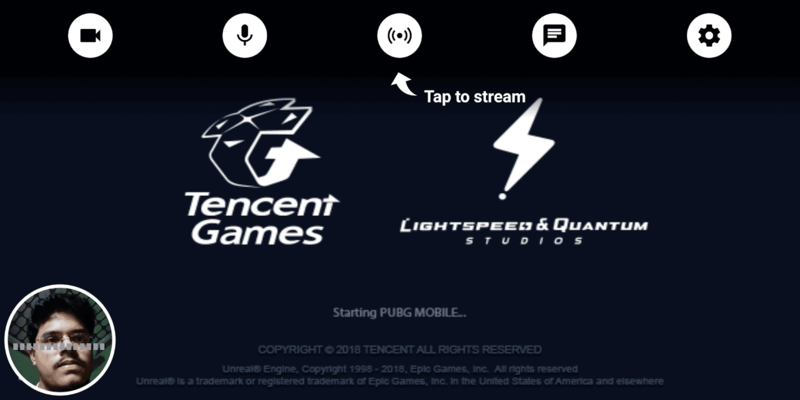 You can also share the Stream Link to Facebook or other places like Whatsapp. 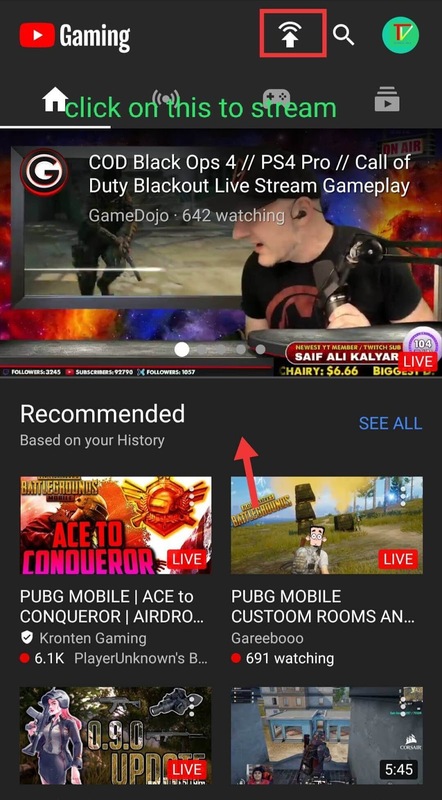 Then Select the Game you want to Stream. 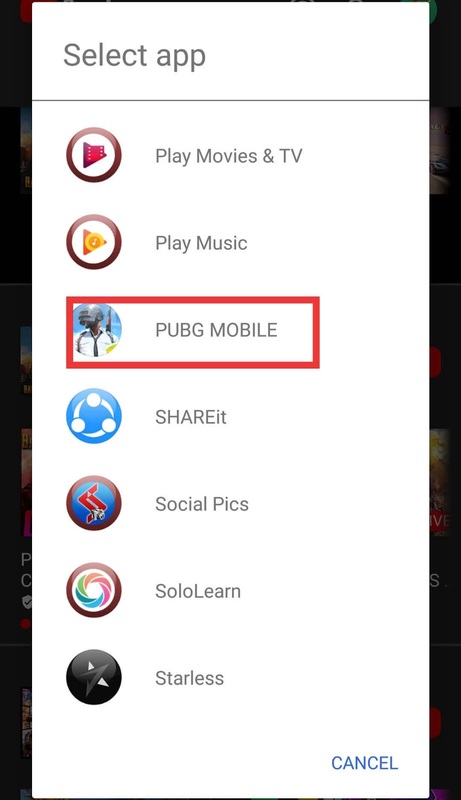 In this tutorial, I picked PUBG Mobile as it is the Trending game right now on this Planet!! 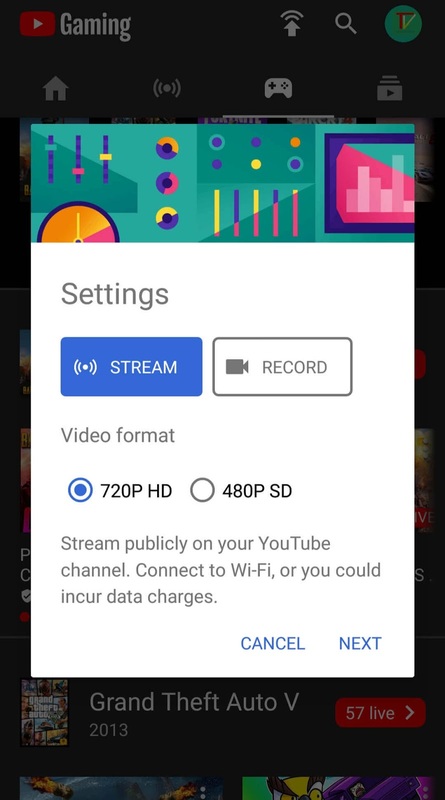 Now you are all ready to Start your First Live Stream from your Android!! Great..
You will find this kind of Screen below on the Stream Menu. 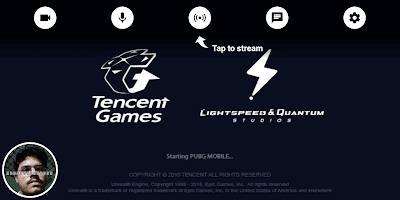 Now you can Stream your Game.. NOTE: If your Network is poor or slow then you will find Heating and Lagging issues and your Stream quality will poor. If you found my post Useful then Share with your Friends.